* Versions disponibles: 12733 - Usagé, tous les jeux à disque et tous les jeux de consoles portables viennent avec leur pochette. A dark force, shrouded in twilight, has invaded the vast land of Hyrule. To restore light to the world, team up with the mysterious creature Midna and embrace the darkness to transform into a divine wolf. Fight through labyrinthine dungeons, survive puzzling traps and meet a cast of characters youâ€™ll never forget in this legendary Zelda adventure. 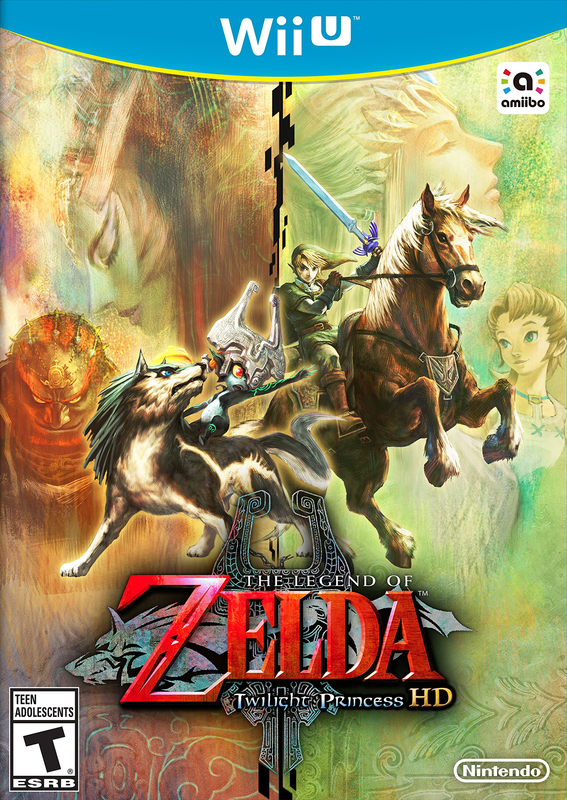 The Legend of Zelda: Twilight Princess is a critically acclaimed masterpiece, set in a massive world bursting with lifeâ€”but also shadow. A dark figure from the Twilight Realm has invaded the world of light. As Link, a farmhand turned cursed beast, join forces with the impish Midna and trusted (albeit unusual) allies to survive a quest that'll take you to the farthest corners of Hyrule and beyondâ€¦ to the Twilight Realm. This emotional adventure is now on the Wii U console with improved visuals and controlsâ€”and new challenges. Choose Hero Mode to take 2x normal damage, or tap the Wolf Link amiiboâ„¢ figure to unlock the tough Cave of Shadows. * Play in Hero Mode to take 2x the normal amount of damageâ€”and do it without any heart drops to refill your health!